Let's hope that the new owners of 814 Vickers continue their rehab work, and keep pulling that vinyl siding off. I caught a glimpse of what was underneath as they repair the porch. It would make a huge positive difference in the appearance of that house. Looking northwest at the south end of the 800 block, including 814 Vickers., 01.30.08. Ornamental bracing with a carved sunburst motif in the front pedimented gable adorns this otherwise austere two-story frame house with wraparound front porch. The porch posts probably are placements. 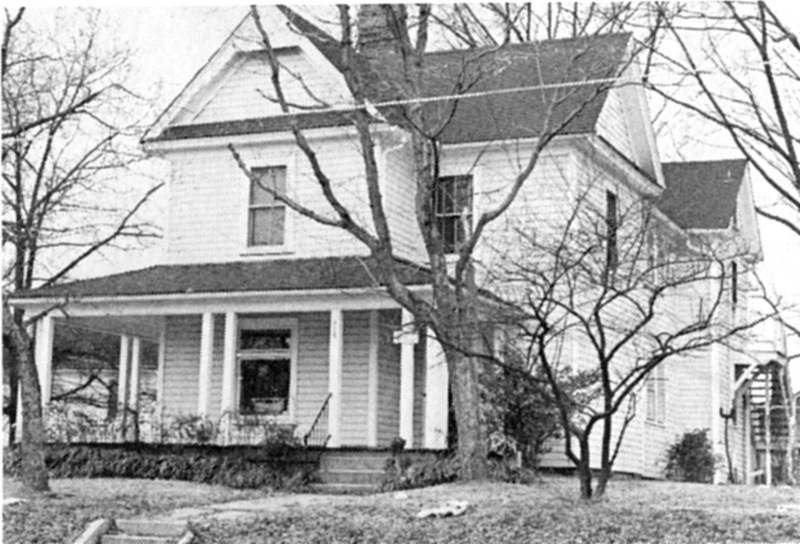 With the Lewter House, it is one of the very few surviving examples of the late Victorian houses that originally lined the northern blocs of Vickers Ave. Alphonsus Cobb, an officer of Durham Realty and Insurance Co. and a salesman with Durham Loan and Trust, built the house for his bride in the 1900s. 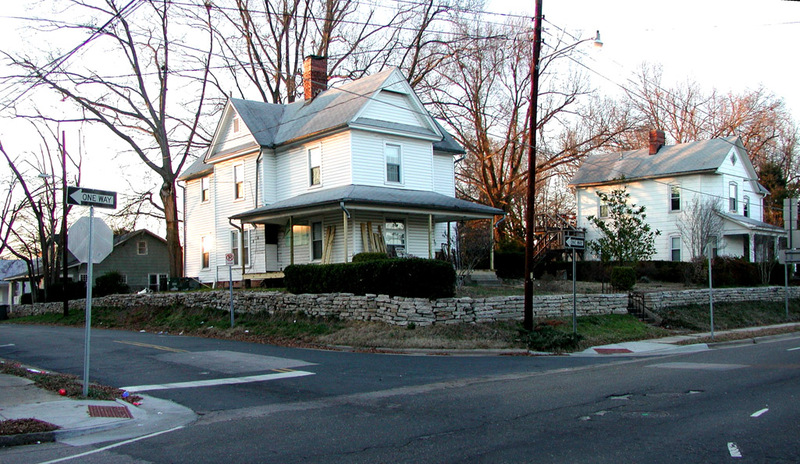 Remained in the Cobb family, which later used it as a rental property, until several years ago.